Our friend Corey Koehler has a new song. Corey is an independent artist from the Midwest. He’s got a unique vibe and I’m a fan of his stuff. Check out his latest – Why Wait – and see what you think. 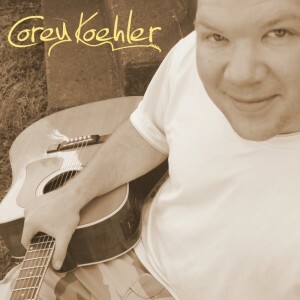 For more insight into the song check out the full post at Corey Koehler Why Wait. You can even download the song for free. Corey has an interesting take on life. His songs typically come from interesting perspectives. You won’t always hear about the things he sings about and I kind of like that. Corey’s voice is kind of what makes him unique in the country world. You’ll hear the rock influences possibly even from the metal days of the ’90s. I think there is a little country in there, though, and Corey might agree. Why Wait seems to be a song of reflection. Corey’s music seems to do this on occasion. Corey looks at his own life or that of his friends and family and tries to pull out the meaning. With Why Wait he seems to be chasing his dreams. The song is especially interesting from my perspective right now. I think Corey has another good song on his hands. For a guy that travels around with nothing but his own songs and his acoustic guitar, I think Corey is something cool. You can probably find better singers and songwriters, but Corey is singing about the stuff impacting lots of people right now. He’s not trying to force his stories on anyone. It’s cool. Also, what do you think of the independent artist feature? We can do more of these on CML if you would like.